You may not think of law firms needing any amount of insurance coverage, but you’d be wrong. Any type of business is subject to any of the factors that insurance coverage can provide. At PJO Insurance Brokerage, we have made a commitment to our clients to perform at a level that is of the highest possible standard while utilizing the best resources in the industry. This ensures that our clients have access to the very best products and services available, combined with unmatched personal attention and courtesy If you are shopping for insurance for your law firm, consult with our insurance agents to find the best coverage for you. Professional Liability Insurance is an important aspect of running a law firm. Because you provide a professional service and you fail to render those services properly, claims may arise which can result in a suit against you and your business. This protection is important in the event you are held liable for damages due to your error to fulfill the agreed upon services. Scottsdale professional liability insurance is necessary for a number of business owners, where the failure of the persons with the organization to effectively provide a service can open the corporation to legal action. Anytime a service is rendered in Scottsdale, professional liability exists. No matter what kind of business you operate, it’s important that you obtain General Liability Insurance for your specific business. By acquiring this insurance, you will have a first line of defense in protecting your business. If you are a law firm, consult with the insurance agents at PJO Insurance Brokerage where we have access to a vast library of markets and the expertise to find the right coverage and limits for your law firm. In addition, we offer you other policies to protect other aspects of your business that Scottsdale general liability insurance may not cover. Umbrella commercial insurance policies were designed to provide liability coverage to bolster your existing general liability limits for specific risks once a policy’s coverage limits have been exceeded. When you look at your Arizona General Liability Insurance Policy limits, more times than not, the policy will have the standard limits of $1 million per occurrence and $2 million aggregate. But when you conduct business in today’s market, lawsuits are typically filed for more than a million dollars, but if this happens to your company, would your law firm be able to survive? 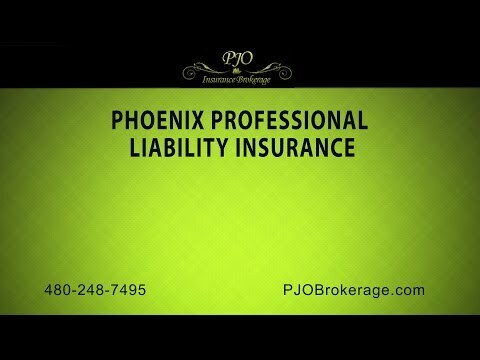 The insurance brokers at PJO Insurance Brokerage has been providing top rated coverage for law firms and other business since 2001 in Arizona, California, and Nevada. We have extensive access to a variety of insurance carriers including Atlantic Casualty, Contractors Bonding & Insurance Company, Colony Insurance Company, First Mercury, Mesa Underwriters, Navigators, Vela, and Hanover Insurance Group. If you are in need of Scottsdale Law Firm insurance, consult with our insurance agents today to find out which policies will best suit you and the needs of your law office.